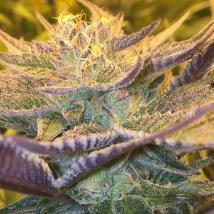 CBD Crew are specialists when it comes to medical cannabis seeds. 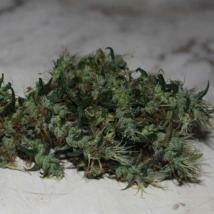 CBD, is a naturally occurring substance found in marijuana plants and according to research has shown to contain medicinal properties to help combat eating and sleep disorders, stress, depression and anxiety, act as an anti inflammatory, relieve pain, ease arthritis and assist with the side effects of chemotherapy and cancer treatments and which is why the team at CBD Crew Seedbank are therefore focused on providing a range of cannabis seeds that have the highest levels of CBD within the plant. 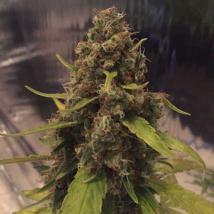 CBD Crew Seeds have considered all medicinal users in their medical marijuana breeding programme and if you´re no expert in the cultivation of cannabis but interested in growing your own medicinal herb then the Crew have it covered. They´ve teamed up with the guys from Grass-O-matic to produce an easy to grow autoflowering variety Med Gom Auto that is right up your garden. 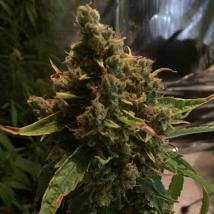 This therapeutic plant will produce THC / CBD percentage levels as much as 1:2% and due to it´s automatic flowering ability lends itself well to the beginner or novice grower producing up to 50gr of medicinal marijuana. 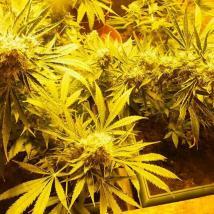 The Original Seeds Store are proud to be able to offer all CBD Crew Seeds to growers and self medicators alike hope you enjoy the overwhelming feel good factor that the CBD Crew Seedbank are so famous for. 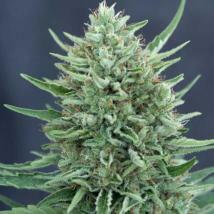 Offering a range of 1:1 CBD / THC ratio feminised, regular and autoflowering seeds, you can buy CBD Crew seeds in single seed packs right through to 200 multi packs including their best selling strain Shark Shock and their latest additions CBD Therapy with THC levels as low as 0.35% and CBD levels as high as 8.32% which drastically reduce the phsycotic effects induced by THC and are highly suitable for those users who are THC intolarant. Quick delivery, will buy again from here.